Discussing paint types is perhaps the most difficult thing I've done on this guide. Frankly, I have a limited experience when it comes to working with different types of paint. When I find something that works for me I tend to stick with it rather than risk messing up a kit or investing in paint I'll never use. While my experiences generally match those of professional modelers I've found that those professional experiences at times conflict with each other. All I can do is offer what I believe to be the best, most useful information for a general builder. In the hobby world there are typically three different types of paint we use, enamels, acrylic, and lacquer. Enamels tend to dry slower than acrylics making it often recommended for hand painting (slower drying allows for additional time for the paint to self level and hide brush strokes). It's also often recommended for panel washes. Enamel users need to be careful as enamel thinner will eat at plastic, causing it to dry out, become brittle, and break. The use of Zippo lighter fluid for cleaning up enamel is something I've seen quite a bit as well. While I haven't tested it out too much thus far, I understand that it's still as potentially corrosive to plastic, but it's increased evaporation rate is more likely to leave less behind to cause issues. Acrylics are the type of paint I've been using quite a bit for the past few years. They're water based so it's very easy to thin and clean up with water. While you can technically thin with water it's recommended that you use an appropriate acrylic thinner for the best results. Acrylic paints dry quicker than enamels but still require time to cure. In my experience acrylic coats tend to be the thinnest of the three,which is great for keeping details but poor for durability. Since acrylic paints are generally water based you don't need to worry about the paint or thinner messing up your plastic. These paints are also very easy to strip without ruining the underlying plastic. Common acrylic paints are Tamiya, Model Master Acryl, Mr. Color, Humbrol Acrylic, and Citadel. Note that Tamiya is not a real full, water based acrylic. It's still solvent based or some such, and should be thinned with Tamiya's brand acrylic thinner at a minimum. Lacquer paints are the least commonly used due their difficulty and risk of use. They are the hardest of the three main types and also dry the fastest. Once dry it's extremely hard to remove without damaging the plastic as well. Of the three it's also the most hazardous, don't breath it in. Typically you won't encounter lacquers other than a some top coat sprays, a few specialty spray cans (such as Testors' One Coat), and Alclad II or other specialty paints. Caution: While lacquers can be bad for your health, so are enamels. While I've never heard of any issues resulting from acrylic paint it's still something you don't want to breath in. When spraying paint make sure to do so in a well ventilated area or with the assistance of a paint booth. You should also wear a regulator rated for small particulates! While rummaging through your local hobby shop you might encounter a few other paint types. If your shop sells RC cars you'll likely see some polycarbonate sprays. These are meant specifically for RC cars and should not be used on your Gunpla. If you're at a general hobby store you're likely to see water colour and oil based paints as well. 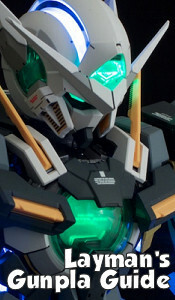 Water colours don't work very well for on Gunpla, and while I've heard of folks using it for weathering purposes, they are generally never used. Oil based paints are meant for brushing applications and can be great for detailing figures but not the suits themselves. They can, however, be used very effectively for weathering. Spray cans are typically lacquer or enamel based. Most are labeled, and if not then Google it. Tamiya TS sprays are lacquer. Most Testors sprays are enamel but their One Coat line is lacquer based. Testors top coats are lacquer based as well. In case you were wondering, no, you cannot mix paint types together. However you can layer different types. This is very handy for doing panel washes without affecting the paint underneath. You just have to be careful that the paint you're using will not react negatively and eat through the base coat. 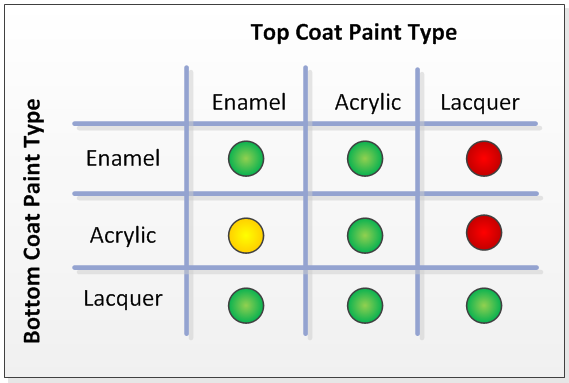 Interpret the chart as "Can I use [Top Coat Paint Type] on [Bottom Coat Paint Type]?" If you have a green circle you're good to go. Red means things will go south quickly. Yellow means that your experience will vary depending on the type of paint you use. This is a general set of rules and your experiences will depend on a number of factors from the type of paint used to the amount of time it has had to cure. For example, it's recommended not to use lacquers on anything but other lacquers. Yet most of the time, a lacquer based clear coat will not damage the paint underneath. If you want to get really complicated please take a look at this chart which breaks down the comparability by paint subcategories. 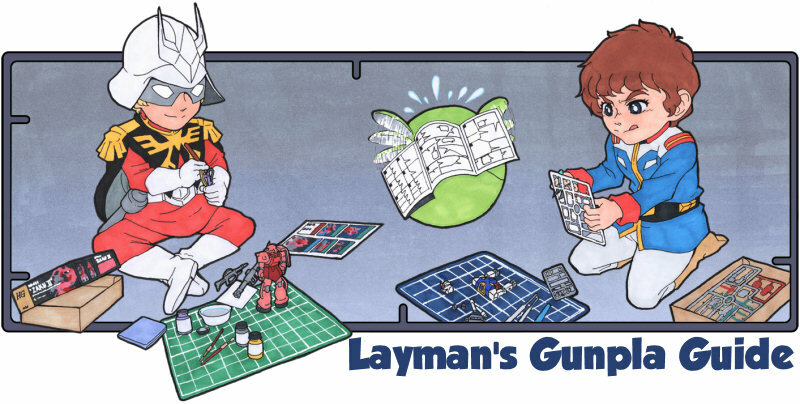 As always, painting Gunpla involves a lot of trial and error. What works for you may not necessarily work for someone else. If you're unsure or trying something new, it's best to test on a practice kit or plastic spoon first. Fear not, you're not the first person to tackle this often overwhelming minefield!